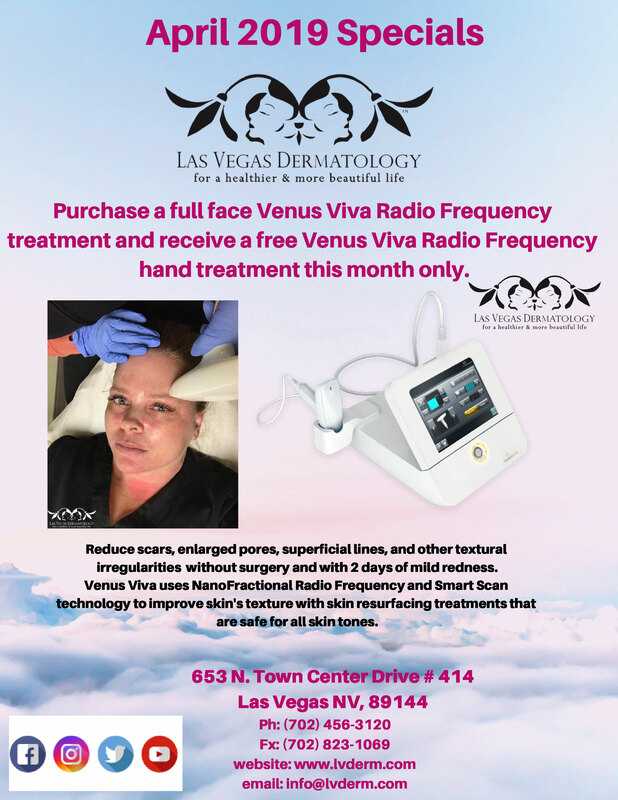 Las Vegas Dermatology keeps you looking healthy and beautiful, even when at home! Explore our monthly specials today. Look and feel younger in minutes with injectables like Botox®, Dysport®, Juvederm® and more! From hair removal to tattoo removal, our lasers do it all. Isn't it time to treat yourself? Indulge in our skin care procedures and spa services for the ultimate 'me day'. From mole removal to complex Mohs surgery. Appointment requests are not booked until we respond with a confirmation. For a healthier and more beautiful life.